Looking For Coach Hire West Sussex? Are you looking for the best coach hire West Sussexhas to offer? 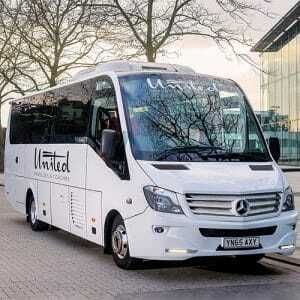 If so, then United Minibuses and Coaches are delighted to be your number one choice in the local area. We offer a hire coachservice across the entire Sussex area, so whether you’re heading off on holiday, arranging transport for your wedding guests or visiting one of the local attractions as a group, we’re here to help you out. Why Choose Our Coach Hire West Sussex? Perhaps you need a luxury coach or minibus in West Sussex to take your party to your destination? 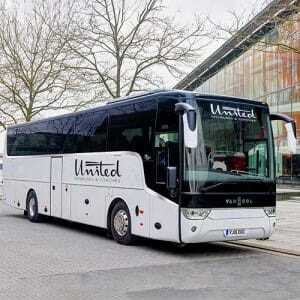 If so, United Minibuses and Coaches is at your disposal. Our fleet of vehicles is stylish and modern, setting up apart from the crowd. We ensure that your trip is as comfortable and safe as possible. All our coaches are fully equipped with everything you need for a fantastic journey. We have CCTV and seatbelts for your safety as well as CD and DVD players to keep you entertained. With reclining seats and climate control, you’ll enjoy absolute comfort all the way to your destination and since our range of coaches are capable of accommodating up to 57 passengers, you can be confident we can take your whole party wherever you’re heading. Do You Need Minibus Hire In Sussex? There are many reasons why a hire coachin Sussex is the best choice for you. Maybe you’re going out for the night with a group of friends and don’t want anyone to have the hassle of being the designated driver? Maybe you’re going as a group to a top local attraction and want to enjoy a relaxing, stress-free trip? Or perhaps you need to get to the airport for your flight and want the most relaxing start to your holiday? 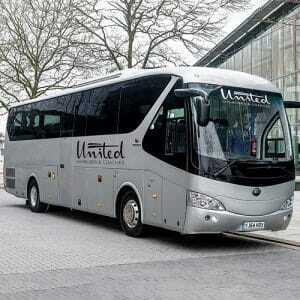 You can depend on United Minibuses and Coaches in Sussex to meet your needs. 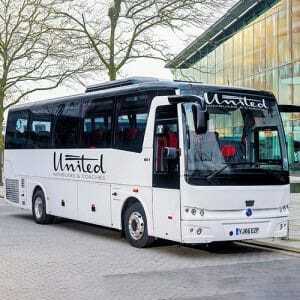 United Minibuses and Coaches is one of the top coach hire West Sussexcompanies. We take pride in delivering passengers to their destination in truly luxurious style. Our modern minibuses all boast leather seats with arm rests and reading lights to make your trip as comfortable as possible. We have equipped our vehicles with seatbelts and CCTV to keep you safe and protected, while each vehicle has a CD and DVD player to keep you entertained. With refrigerators, flat screen monitors and even USB connectivity, you’re guaranteed a fantastic journey. If you’re visiting the Sussex area, you can depend on United Minibuses and Coaches to take your party wherever you’re heading. The Sussex region has no shortage of fantastic attractions for every member of the family, all within easy reach when you hire a coach or minibus from us. Here are just a few of the best local attractions. Hever Castle– this 700 year old castle was once home to Anne Boleyn, former queen of England. It’s a great historical day out for all the family. Brighton– head to the south coast’s most famous beach and discover the cool and fashionable resort of Brighton. With a wealth of shopping opportunities and cultural attractions, there’s something here for everyone. 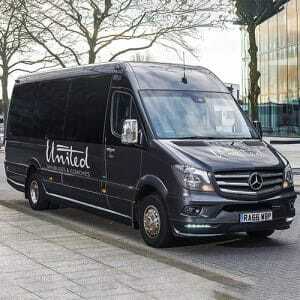 Discover all these wonderful destinations with United Minibuses and Coaches. Book one of our luxury minibuses and coaches and discover the beauty of West Sussex. Contact us today and find out more about our coach hire West Sussex.